A professor at Stockholm University who has conducted extensive research on Arctic paleoclimates, Professor Martin Jakobsson’s main research interests include the oceanographic and environmental history of the planet’s polar oceans and their sea ice cover. Using geophysical mapping methods, he has also been involved in studying the morphology of the seafloor. Since 1996, Professor Jakobsson has participated in nine international icebreaker expeditions to both the Arctic and the Antarctic, and has visited the North Pole three times. Starting in 2012, he will return to the Arctic for a five-year research program that will involve extensive Arctic seabed mapping as well as the extraction of a number of sediment cores to be studied in order to learn more about the Arctic's climate history. In this interview, Professor Jakobsson gives an overview of the five-year SWERUS-C3 project he will be involved with, how sediment cores are drilled, and what researchers can learn from what they contain. What kind of paleoclimate research are you doing in the Arctic at the moment? I’m conducting research on existing data from sediment cores in order to learn more about Arctic sea ice history. Specifically, we’re looking at biomarker proxies in sediment cores. I’m also working on the Arctic Ocean glacial history including the extents of ice shelves during glacial times. At the moment we’re planning a very large expedition in the Eastern Arctic, called the SWERUS-C3 Program (Russian-US-Swedish Arctic Ocean Investigation of Climate Cryosphere Carbon Interactions). 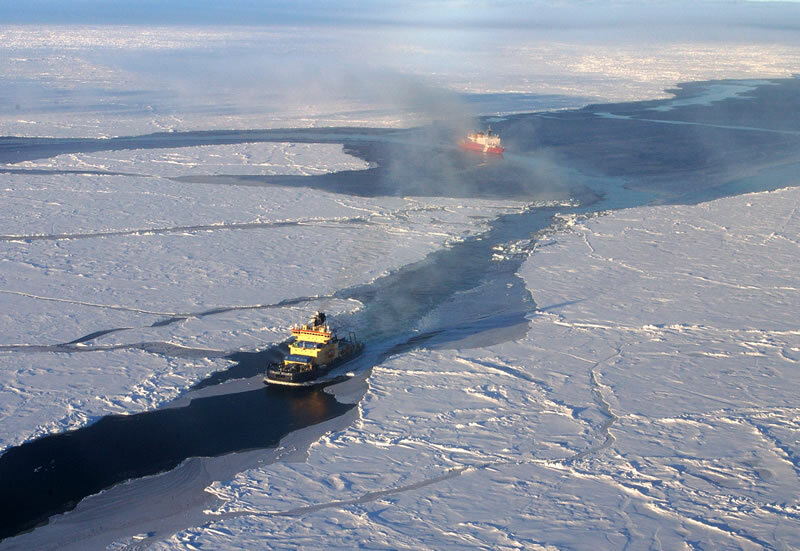 The research will take place over five years, and will include a 90-day cruise with the Swedish icebreaker Oden, scheduled for 2014. We’re going to investigate the whole carbon cycle in the Arctic and try to piece together the Arctic’s sea ice history. My co-Principal Investigator Örjan Gustavsson and I along with with six other co-PIs been trying to piece this history together in our work. We’re calling in all the best experts from a wide range of backgrounds to work on this research project. There are going to be a large number of co-collaborators not only from Europe, but also from Russia and the US. The project will cover both paleoclimate and carbon cycle processes. We’re looking at how all the different parts of the system interact with one another. It’s a very complex system, and there are a lot of unknowns. It will focus on parts of the Siberian Continental Shelf and further out into the Arctic Ocean, where we know there’s a lot of carbon stored in permafrost under the seabed. How many researchers will be working on this project? We’ll probably be bringing 45 scientists on each leg of the Arctic cruise. Since we’ll have two legs of 45 days each, and most of the scientists will be different on each leg (it’s not healthy to be away at sea as long as 90 days), we’ll have somewhere between 80 and 90 scientists working on the field program altogether, including scientific technicians. It’s one of the larger scientific undertakings that we have done here at Stockholm University. What exactly do you look for in the sediment record to help you piece together sea ice history? You do a full set of chemistry on the sediments. You look for variations in things like manganese and iron markers, as well as variations in microfossil components. In this particular study, we’re hoping to get a high-resolution record of the current geological epoch, the Holocene (which began about 11,700 years ago at the end of the last ice age). In previous studies, we’ve been able to go back several interglacials into the past, and we hope to be able to do the same during this expedition as well. You have micropaleontologists who are looking through the sediment core record, counting all the organisms they come across and categorizing the different species. The micropaleontologist might find a plankton species like foraminifera, for example, which likes warm Atlantic water and can only live in this kind of water mass. So if you see an increase or decrease in some specific foraminifera, this is a proxy indicator of an increase decrease in Atlantic water intrusion into the Arctic Ocean. Why is Atlantic water intrusion important? Atlantic water intrusion is a very important component to the Arctic system. An increase in the amount of warm water entering the Arctic Ocean can have an impact on the sea ice, melting it form below. There are indications that this warm water even comes up to the continental shelf regions of the Arctic Ocean. Some of my colleagues have traced Atlantic water intrusion and where this water goes in the Arctic. We know that Atlantic water circulates and goes into the Arctic; we don’t know yet the how this circulation has varied in the past. Have there been previous periods where there has been more Atlantic water intrusion? How is this linked to the sea ice history? Has Atlantic water intrusion influenced the sea ice history, or has sea ice history influenced Atlantic water intrusion? Using the Holocene Climate Optimum as an example, do we see more Atlantic water entering the Arctic Ocean or do we see none of that? Should we expect to see an increase in Atlantic water intrusion now similar to what we saw in the past? If we answer these questions, it might help us get a better idea of how things work and predict what might happen next as the sea ice disappears today. What about warmer water intrusion from the Pacific side of the Arctic? Pacific water intrusion is important as well and can also affect sea ice cover in the Arctic. This also has a history. The Bering straight – which is the gateway between the Arctic and the Pacific Ocean – is very shallow. When there was a land bridge between the Chuckchi Peninsula and Alaska during the last glacial maximum, There was no Pacific water intrusion. And then, after that, you can see whether there was as steady increase of Pacific water intrusion, or whether there were periods where Pacific water intrusion varied or oscillated. This is something we might be able to find out using proxy methods. What other indicators do you look at? Aside from doing chemistry on the sediments themselves, we also do some chemistry on the calcareous microfossils the micropaleontologists find. Once you’ve picked out all the different foraminifera with calcium carbonate (CaCO3) shells, we will also look at the ratio of certain isotopes over time, namely oxygen and carbon isotopes. You can also use magnesium and calcium ratios as a temperature proxy, but only on some species and not on others. These are known proxies for climate variation – although it can be a bit tricky in the Arctic since you have so much meltwater, which can affect the ratios of different isotopes. What do the oxygen isotope ratios signify, for example? In general, a larger number of heavier isotopes of oxygen means colder temperatures and/or more ice. But while this indicator works for most of the world’s oceans, with some complications, it’s far from clear how to interpret the signal for the Arctic. The signals from the meltwater you get in the Arctic from glaciers destroy some of the isotope signals you would otherwise get if there were no meltwater signals at all. When you go back in time and you’re looking at the Arctic record over several glacial and interglacial cycles, one of the problems is that calcium carbonate dissolution takes place, which means we don’t have a good calcium carbonate record before a certain point in time. We haven’t been able to capture a nice back and forth signal between glacial and interglacial periods that far back in time. However we do have a nice signal for the Holocene, since there hasn’t been the same extent of calcium carbonate dissolution. We’re still trying to get high-resolution records to do very detailed analyses of past climate changes. We’re not there yet, but it’s coming. There’s a lot to be done. It’s very difficult to get into the Arctic and take records and do geophysical surveys. We need a careful survey of the seabed to really find out where we might be able to find these archives. 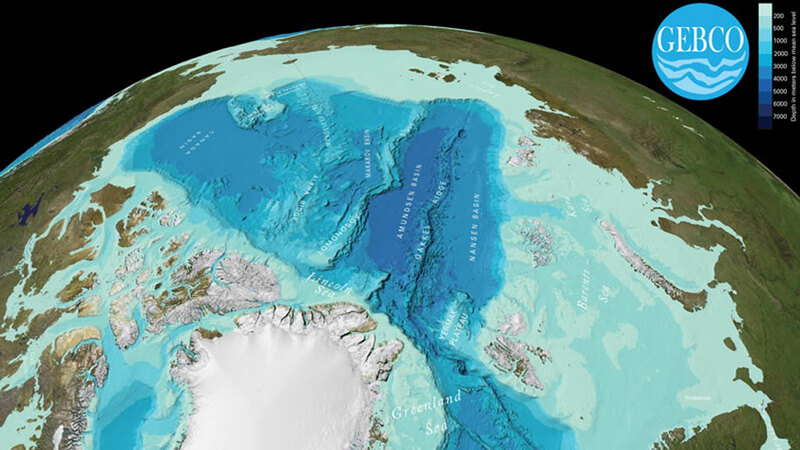 This is why we’re doing a lot of mapping of the Arctic Ocean seabed. We need to see how the sediments are lying on the sea floor so we don’t drill a core in a location that’s been disturbed at some point. If we take a core in the wrong spot, it won’t tell us anything. What would you consider an ideal place to drill a core? Preferably in areas where you have a higher sediment focusing, so you can get a higher resolution record. During the past several studies we’ve done, we’ve learned that there are very distinct differences from one place to another. We understand a little bit better how sediment has been deposited in the Arctic over time. There are regions where you have very low sedimentation rates – mainly in the central Arctic. North of Greenland, where there has always been fairly compact sea ice, not a lot of movement in the sea ice, not much deposition of sediments from melting ice, and not too many open leads, there’s a lot less sediment being deposited – about 1 cm every 1,000 years. This means you don’t get high-resolution records; you get a millennial scale record at best. But if you go out to the rims of the Arctic where you have very loose pack ice, you tend to have a much higher sedimentation rate, and it’s in these areas where we can get the higher resolution records. We know in the part of the Arctic we’re aiming at right now north of Eastern Siberia we’ve got high-resolution records. But of course, higher resolution means there’s a lot more sediment. With our sediment corers, we won’t be able to go that far back in time. There’s a trade-off: the better the resolution, the less far back in time you can go. How far down can you core? We’ve taken some of the longest piston cores, which are 21 metres long, from the USCGC Healy. But we rarely get that deep using the piston coring method in the Arctic Ocean. Some of the best piston core records we get are at a depth of between 10 and 15 metres. Sometimes we aim for shorter sediment cores with less disturbed sediment water interface for high resolution studies. The next step above piston coring, which allows you to get the very long cores, requires coring using a drilling vessel. This has only been done once in the central Arctic in 2004 during the Arctic Coring Expedition (ACEX), which was led by Jan Backman and Kate Moran. What you essentially do is core into the loose sediment and take one core after another from the same hole. Is the idea to take a number of different cores and then try to match the records to one another? The way it works in these kinds of research projects is that you do the geophysics first. We will do the oceanography, water sampling, and so forth at the same time. And then we will look at the geophysical records, pinpoint the ideal coring locations, and then go back and take the cores at these locations. So we always have to do a survey first – unless you have a survey from previous expeditions. But normally there are few surveys done in the parts of the Arctic we want to look at. So it will be a lot of work. One of the things I’ve been involved with is rebuilding the Arctic depth database on the Arctic seabed. So far only 7% of the Arctic Ocean has been mapped using modern technology. But it’s a start.